The UWT Math Club will be holding a Calculator Drive to donate calculators to the Library and TLC for student who cannot afford one. All calculators are wanted, new or used. 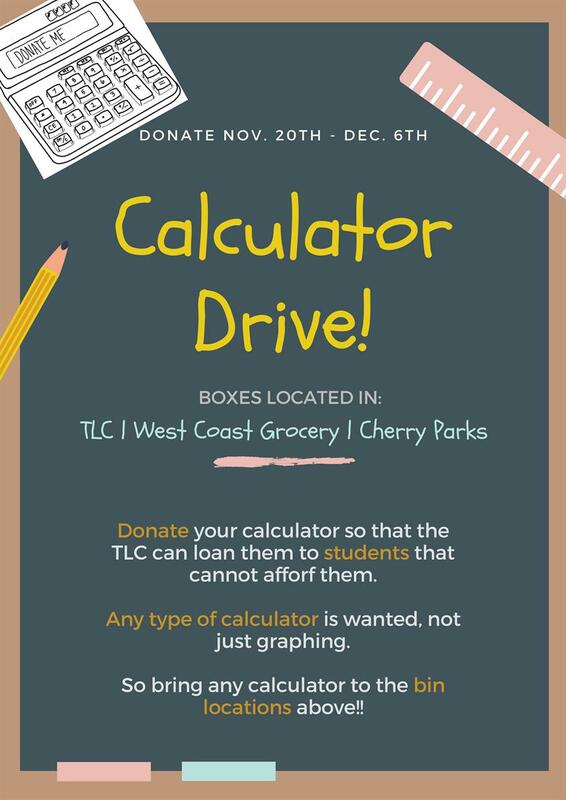 Boxes will be available in the TLC, Cherry Parks and West Coast Grocery from November 20th through December 6th.